Laptop makers strive to create ever lighter and more portable devices without sacrificing screen size. Now it's pretty common to see laptops advertised as offering a 13.3-inch screen in a 12-inch form factor, achieved by shrinking bezels, for example. Other laptops are highlighted for their slimness, like the sub-9mm thick Acer Swift 7. Even gaming laptops have been sucked into this slimming trend in recent years, with initiatives like the Nvidia Max-Q designs. The largest mainstream laptops tend to be based around 17-inch screens but I haven't seen as much effort in slimming down these beasts until now. Now it looks like LG is preparing to launch the largest laptop in its signature thin and light Gram range with the LG Gram 17. A Liliputing source spotted the laptop listed at Best Buy, unfortunately the listing has now been taken down, but not before it was thoroughly cribbed. The headlining, and most astonishing quality of the LG Gram 17 laptop is that it weighs in at just 1.3kg (2.95lbs). 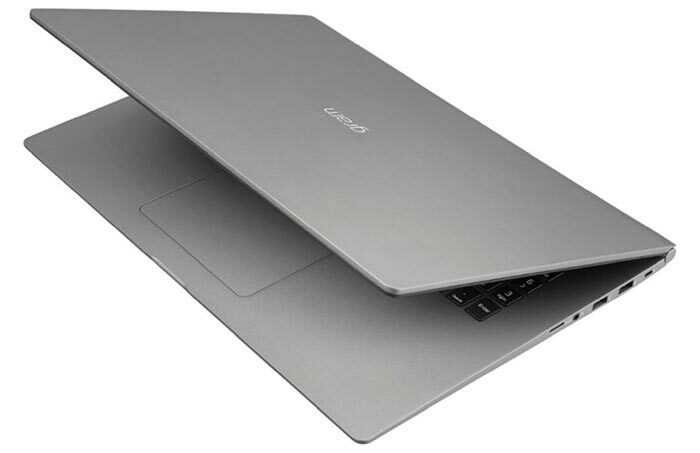 It is pretty thin too, at 17.8mm (0.7-inch) thick, and it is 381mm (15-inch) wide and 267mm (10.5-inch) deep. This is noted to be "closer in size to what you would have expected from a 15.6 inch notebook a few years ago". Overall, the Gram looks rather sleek in its magnesium alloy chassis. LG's design includes a backlit keyboard with numpad and a fingerprint reader. This laptop uses a 2560 x 1600 pixel display, providing a good balance of detail for the size. An HD webcam and mic reside on the upper screen bezel. Inside, LG has equipped the Intel Core i7-8565U (Whiskey Lake) processor, 16GB RAM, and a 256GB SSD. Ports provided sound adequate, and Liliputing lists it as featuring a USB Type-C port, three USB 3.1 Type-A ports, a headset jack, an HDMI port, and a microSD card reader. Gigabit Wi-Fi is supported and a USB Type-C to Ethernet adapter for wired connections, says the source. Best Buy had the LG Gram 17 listed, with the configuration detailed above, at US$1,700. 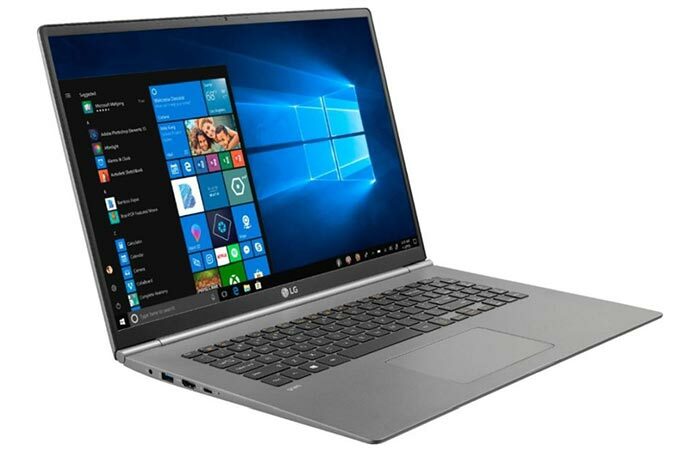 Another new LG Gram laptop was listed then taken down by Best Buy yesterday. The LG Gram 2-in-1 with an Intel Core i7-8565U processor, 16GB of RAM, and 512GB of solid state storage will sell for $1500. Liliputing have reported upon this Wacom stylus equipped device in a separate story, as per link. These laptops will probably debut at the CES 2019, a few weeks from now. No mention of a discrete graphic card but for those who do not need one and frequently find themselves on the go (a month or two here, a month or two there), I can see the appeal. No doubt that the power brick will add a bit to that weight, but would still end up being lighter than the 15.6" I bought years ago without a power brick (though mine had a lower mid range GPU). That said, heat is probably going to b a concern even without discrete graphics, and those thin and light laptop tends to be particularly difficult to open up and dust the fans so I'd be concern about that. And it was actually quite expandable with SoDIMM slots and to M.2 2280 slots which is impressive for a 1.3KG 15.6" ultrabook. Time will tell wher whether this is similar. Personally, I hate dGPUs in laptop as they tend to bea large source of failure. Personally, I haven't actually have had any dGPU fail directly.. but I've had one fan that died on my last laptop (actually forgot if it was on the CPU or GPU) which made resulted in so much heat that you would be scorching your lap if you tried to use it on your lap, and both the CPU and dGPU throttling all the way down to the limit. And my current laptop also has clogged up fans which also result in needing to throttle my dGPU all the way down. I am only able to “clean” it by blasting some airspray through the vents the side of the fans from the inside, which helps, but undoubtedly miss most of the dust (to get proper access to the top of the fans, I would have to dismantle most of the laptop, including the screen, and I can not even do that because one of the screw for the optical drive that also needs to be removed is so rusted that I can't get it out). So at the very top of any future laptop I am getting is ease of access to the entire interior so that I can easily perform routine cleaning duties (it would also make replacing dying fans viable.. being mechanical devices I would say that fans are probably the largest source of failure). LG has confirmed the LG gram 17 (model 17Z990) and 14-inch LG gram 2-in-1 (model 14T990), for CES 2019.